Klock Werks Flare Windshield is the new standard in touring comfort and style for 2014 - up Indian Chieftain and 2015 - Up RoadMaster riders! The Flare for Indian installs easily using stock mounting hardware, and maintains stock windshield height adjustability. 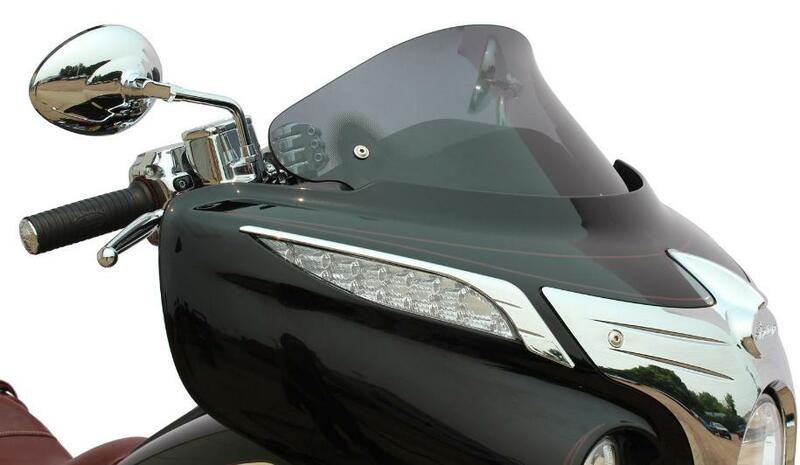 The Flare Windshield not only looks great, it performs even better. Klock Werks innovative design features “hips” at the outer edge of the shield that re-route the air to add downforce and aid stability. Made from hard coated polycarbonate for outstanding impact strength.